If every charity 'begins at home', we started from small beginnings in Walberton Action Group's 2003-2006 Parish Landscape and Wildlife Enhancement Project - click here to read the report. Local interest in studying and conserving the landscape grew, and in 2014 MAVES was conceived, the Mid Arun Valley Environmental Survey group. We recognized that the area between Walberton and Lyminster, with an amazing diversity of habitats to be found in Binsted, where we had our first landowner survey permissions, and beyond, was the wildlife nucleus of the Arun valley. 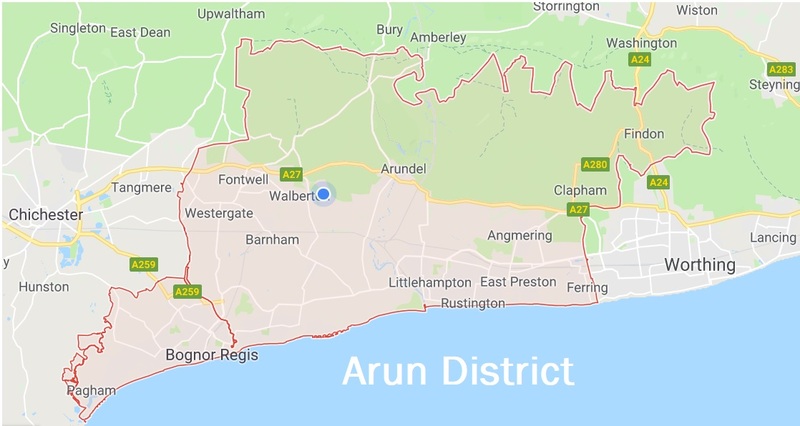 This is also the centre of the Arun District, and the heart of the Arun & Western Streams catchment. Yet, very little was known about it, whether by experts or by the public. We engaged Jackie Thompson of Wildlife Splash Ltd as our ecological consultant. With Jackie's help, we began commissioning surveys and learning about this special place and what it might take to look after it. Ian Powell, our licensed dormouse surveyor, has also played a key role in guiding a succession of ecological experts through the area, and training others. Julia Plumstead, a Binsted resident, early took on the chairing of the MAVES Committee. We were excited to learn about the riches of wildlife supported by our mix of dip slope and coastal plain, river and stream valleys, ancient wet woodland and hedgerows, arable and pasture, fenland grazing marsh and watermeadows, in a medieval village landscape. Who knew before that we have 14 species of bats here? With the help of National Park Ranger Simon Mockford and the Park Volunteers, we have helped the landowners to look after their landscape including laying hedges which were planted by our original Walberton Action Group project. 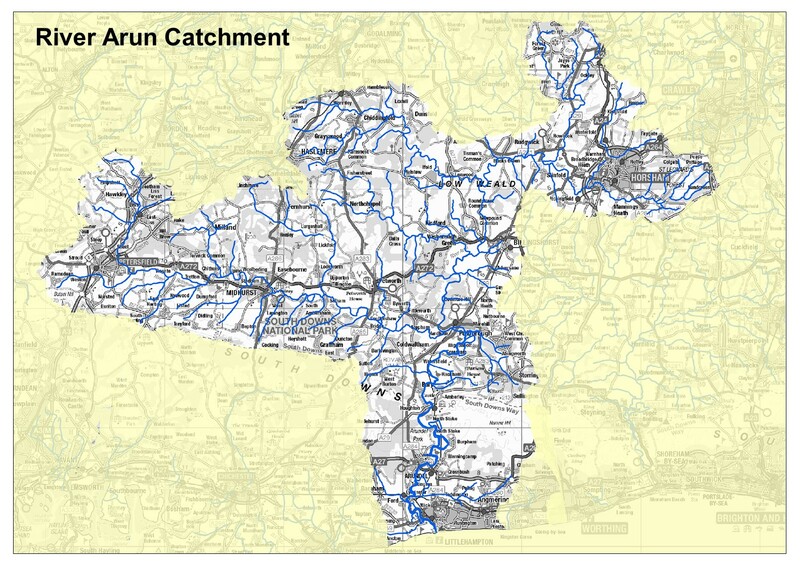 Although our main study and work area, marked in purple on the Arun-Rother Catchment map below, is sometimes referred to as part of the 'Lower Arun Valley', we call it the "Mid Arun Valley". 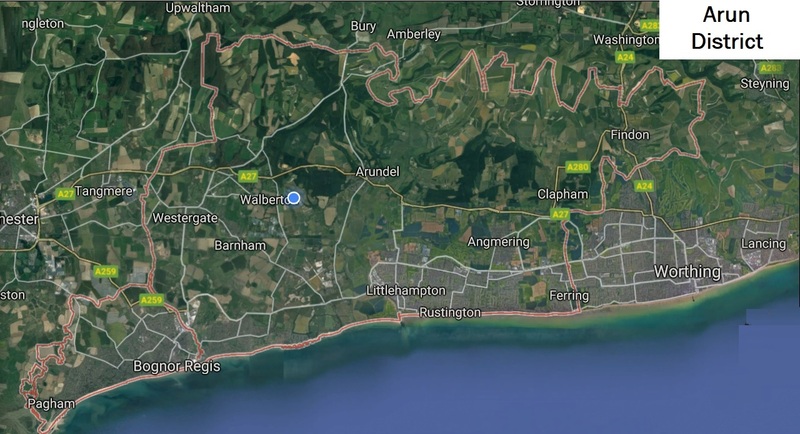 This is because it lies in between the coastal estuary plain south of the railway, and, north of the A27, the upstream Arun-Rother area with its many wildlife designated sites (SSSI, SPA, SAC, RAMSAR). In 2018 we had grown to the size at which we needed to register with the Charities Commission. Recognizing that we would need to be flexible about our work area in the future expanding to work with a wider landscape and community in Arun District, and also recognizing that our Arun countryide has important cultural heritage as well as its rich natural heritage, we decided to register as the Arun Countryside Trust. Our environmental executive committee, to which the Trustees delegate all natural-environment work, is keeping the name MAVES Committee which has become well known in ecologist circles and elsewhere. If you are reading this we hope you might wish to support our work by becoming a regular donor; once our registration is complete, the Government will add 25% Gift Aid to your support. The neighbourhood of the Arun District, from a conservation point of view, stretches its wings to the wider Arun River catchment. 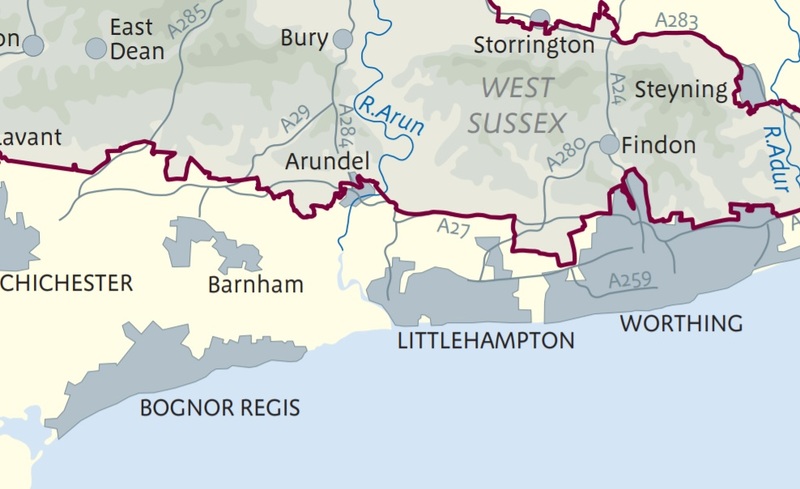 Other important maps for understanding the life of our area, as influenced by its water geography, are the Arun & Western Streams Catchment Map, and the Lower Tidal River Arun Strategy Map. Who are the MAVES Committee? Who are the Trustees of the Arun Countryside Trust?